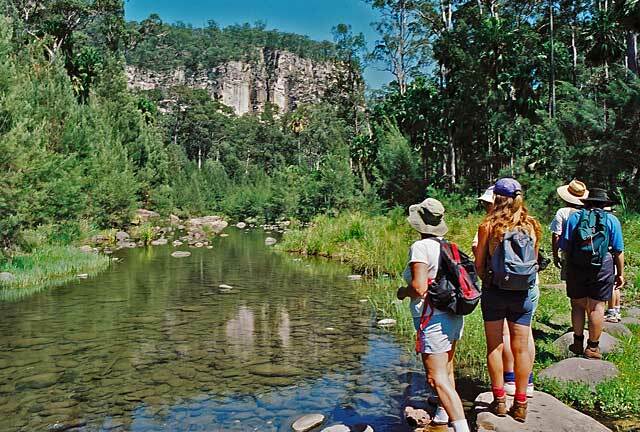 A 5 day, all inclusive, camping safari will allow you time to absorb the majesty of Carnarvon Gorge, part of the 217,000 hectare Carnarvon National Park, at your leisure. A lush oasis. Fairyland moss gardens, rare giant ferns (Angiopteris), ancient cabbage tree palms and orchids to name just a few of the unusual and unique subtropical plants on show. Prolific Wildlife. Eastern Grey Kangaroos, Whip Tailed Wallabies, Pied Currawongs, Kookaburras, Bushtail Possums and Goannas are your close neighbours while camping in Carnavon Gorge. Emus, Broglas, Plains Turkey, Echidna, Platypus, Lizards and Snakes are often encountered on the bushwalks throughout the Gorge. 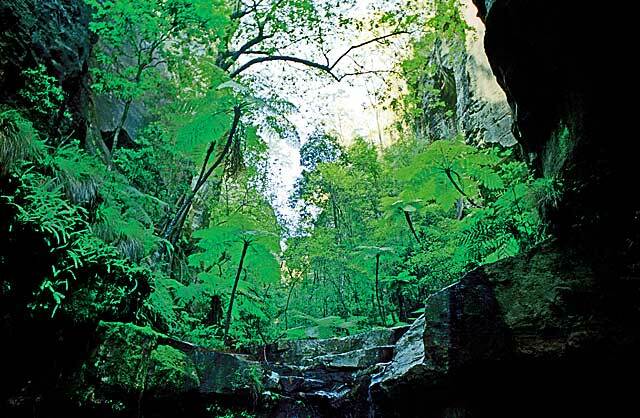 Beyond the usual Bushwalks. 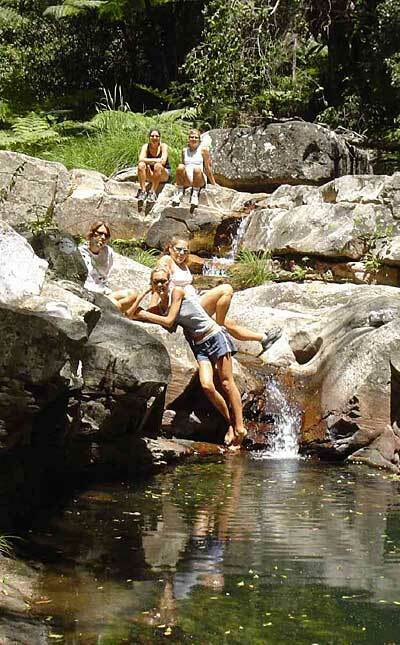 Sunrover Expeditions experienced guide will lead you to where you want to go... to the most spectacular scenery, hidden smaller gorges, amazing lookouts and crystal-clear swimming holes... the best Carnarvon Gorge has to offer. The Magical Adventure. Modern 4WD vehicle, maximum of 20 guests, all camping gear (incl. sleeping bag, sheet, matress and tent) supplied. All meals and drinks (at the Gorge) are provided (including wine with your evening meal).